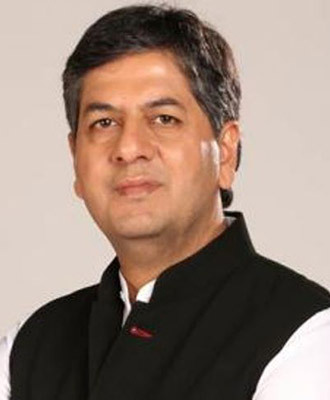 Vikram Chandra is one of India’s best-known TV news personalities and a technology expert, presenting India’s leading tech show, Gadget Guru, since more than a decade. He draws from his expertise and experience to counsel corporates on becoming future ready. Vikram talks about the need for organizations to embrace new-age technologies and how this would benefit them in the long run. A firm believer in an approaching revolution, Vikram advocates planning for a disrupted future where technologies such as artificial intelligence, robotics, nano-technology and genomics, amongst others, will transform the world. As the first CEO of NDTV.com, he pioneered a range of digital innovations for the platform, ranging from mobile content back in 2000 to the creation of one of the first news apps. Now in his stint as an entrepreneur, he has founded the start-up Editor ji Technologies Pvt. Ltd, which seeks to transform the way news is experienced through powerful innovations in artificial intelligence. In his distinguished career as a journalist, Vikram anchored leading new shows such as Big Fight, 9 o’clock news and Reality Check; as well as big events like elections and the budget. He was also the face of social programming initiatives like the Cleanathon and the Save Our Tigers campaign. His talks often encompass his views on the news business, politics, the state of the economy, and the big question of who will win in 2019! Vikram was recently named a Global Leader for Tomorrow by the World Economic Forum at Davos.